What is a Co-founder Agreement? A Co-founder Agreement is an essential document that can save you a lot of pain, money and confusion. At the outset of a new venture there’s a lot of excitement in the air and everyone feels passionate and committed to the new business. The problem is that things change. Situations arise, expectations change and much psychological and financial grief can be caused to unsuspecting co-founders who plan only for the upside and ignore the potential downsides. Sometimes in the endorphin rush of a new business idea, we hear what we want to hear and avoid asking the tough questions of others and ourselves about motives, goals and contingencies. What happens when one founder is lured by a lucrative job offer in an exotic country? Or falls unexpectedly pregnant? What if one is keen to expand the business internationally but the other isn’t convinced? Or an offer is made to buy the business but the founders can’t agree whether to sell or how much for. Founders who think ‘We’ll deal with that when it comes up’ are inviting trouble. In fact, this kind of thinking is another way of describing a lawyer’s picnic! Avoiding the legal expenses of a professionally drawn-up Co-founders Agreement is often a false economy as lengthy and distracting disputes resulting in litigation can make the cost of the initial agreement seem like chicken feed by comparison. While you can’t predict every conceivable outcome, there needs to be some deep thinking and frank discussion on how each founder sees things playing out during the course of running the business, and in particular what happens should any of the co-founders leave. I never thought I would have a co-founder and in my previous businesses I’d always been the sole owner and had employees. With Bean Ninjas I thought I’d try something new and teamed up with co-founder Ben. For me, having a co-founder has been a refreshing and rewarding experience. Ben and I have complimentary skill sets and are both equally committed to going making Bean Ninjas a success. Over the years I’ve had great employees but working with a motivated co-founder is a different and hugely enjoyable experience! Before we started Bean Ninjas we mapped out a co-founder agreement and discussed how we would resolve potential situations such as the selling of the business or one of the co-founders not performing. 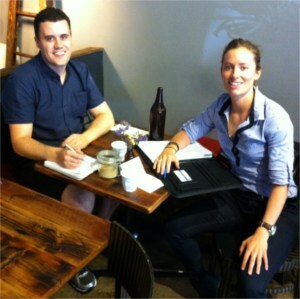 Ben and Meryl working on their co-founder agreement. 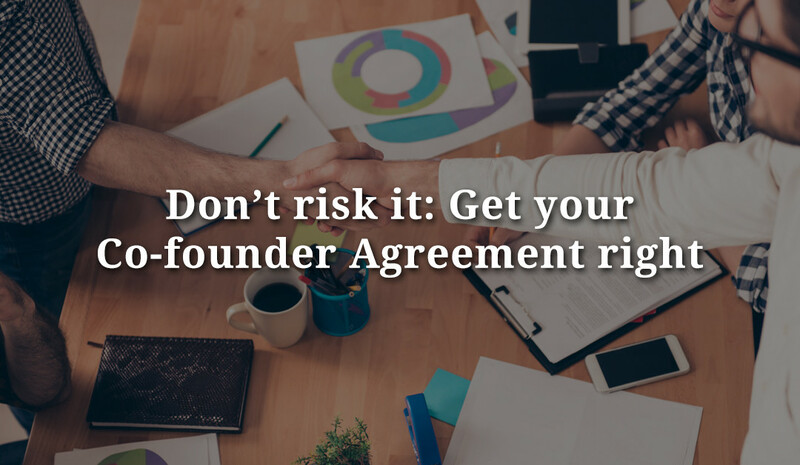 It is important to have these conversations upfront and put them in writing and in this blog post we have lawyer and founder of LawCorner, Kim McFayden sharing her tips on creating a rock solid co-founder agreement. What title or role will each founder have? What tasks will they each take responsibility for and to what extent? If they have competing priorities, which tasks and responsibilities take precedence over others? What time commitment will each founder make to the business? Which decisions can be made by a single individual and which should be voted on by all founders? If a vote occurs, does everyone have an equal vote (regardless of equity) or align with share-holding? Will someone have the deciding vote if there is a 50:50 split in a joint decision? How will employees and contractors be interviewed and hired? Who can sign cheques or authorise bank transfers? What if some founders decide that a founder should leave the business? How will that decision-making occur and are there any guiding principles the founders agree will trigger a founder being ‘fired’ e.g. misappropriation of funds, dishonesty, failure to reach agreed milestones, etc? 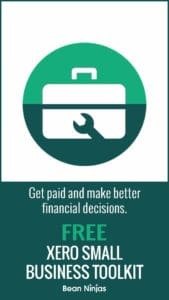 Try to foresee any decisions which might give rise to power struggles or money troubles – hiring, firing, buying and selling are all good ports of call for discussion and agreement. While it’s common for co-founders to split equity equally in order to be ‘fair’, sometimes an equal split doesn’t accurately represent what each founder is contributing and this can lead to arguments later, particularly if a founder doesn’t achieve what they said they would in the beginning. Equity should be divided based on what each founder brings to the table. This could include coming up with the original idea, domain expertise, contacts, capital, time, resources and responsibilities (internal and external). The basis for the equity split should be covered in the agreement as a record of each party’s intentions at the beginning, as often intentions change. Consider an imaginary startup where friends Bill and Tom agree at the outset that they’ll both work full time on the idea and on this basis they split the shares equally. Six months later Bill says “This is too hard. We’re not getting the traction we hoped for. I’ve got to go and get a job”. This all-too-common scenario means Bill walks off but still retains half the company. If Tom goes on to build the business into something big, he will reap only 50% of the rewards. Vesting is a way of protecting you in this kind of situation. 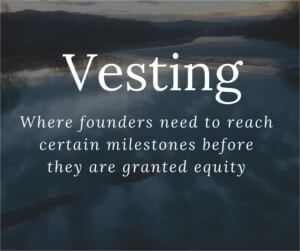 It’s based on the notion of ‘sweat equity’, where founders need to reach certain milestones before they are granted equity. Vesting of shares often occurs after a designated passage of time but can also occur after certain milestones or events. With milestone vesting, stock vests upon achievement of stated milestones. For example, if a non-technical co-founder teams up with a technical co-founder they might decide that the technical co-founder’s shares vest based on milestones such as 25% on shipment of a beta version, 50% on shipment of v1 and the remaining 25% on shipment of v2. It’s more common for vesting to be time-based. While any time period can be agreed, a four-year period is common, apportioned in monthly or quarterly increments after the first anniversary, with a one year cliff. What this means is that if a founder leaves before the one year mark, they get no equity. As soon as the one year anniversary passes they get 25% of their equity, after 2 years 50% and if they stay until after the four year anniversary they get 100% of their equity. If a founder leaves before full vesting, then the unvested shares are cancelled out and absorbed into the company. Usually there will be a clause which fully vests the remaining 100% to the founders in the event the company is acquired before the 4-year vesting period is up. New shares should only be issued with the unanimous agreement of all founders to prevent their individual stockholding being diluted. Note from Meryl: See our recent post for more on issuing shares and company structure. When you and your co-founders start building an idea, you are creating intellectual property (IP). IP can take many forms but make sure that whatever IP is being developed for your new enterprise belongs to the company and not the individuals behind the development of the IP, i.e. co-founders, employees, consultants and contractors. It’s likely that one or more co-founders will be putting in some cash in the early stages of the company. The agreement should specify what each founder is contributing and on what basis. Is it debt? Is it convertible debt, i.e. a loan that can be converted to equity upon some future event like outside investment? Does it buy a different class of shares? Founders need to decide if and when they will take a salary or other forms of compensation other than shares. In this section reimbursement of expenses incurred by individual founders can be agreed. A non-compete and restraint of trade clause prevents each founder from developing a competing technology or business during their involvement and after their departure. Usually they are also precluded from aligning or advising another entity that is seeking to compete with the company. Founders should also be restricted from approaching and seeking to secure the company’s clients, staff, suppliers, agents or representatives. Non-compete and restraint of trade clauses need to have a fair time limit on the restraint (and a geographic radius for a bricks and mortar business) to be upheld in the event of a court dispute. Founders should agree that they will not disclose any confidential information or trade secrets regarding the Company to any third party, other than to further the Company’s interests. Founders should ensure that in the event of a founder deciding to leave and sell their shares that the other founders have an option to purchase the shares. This is vital as the departing founder can sell their shares to a third party that you do not know or approve of if you fail to obtain first right of refusal. As disputes often arise in co-founder situations, it’s important to set out the process of how disputes will be resolved. This may involve a series of steps, e.g. have an informal meeting, if no agreement can be reached then have mediation or another alternative dispute resolution process. It’s important to ensure that you get independent legal advice and don’t use the same lawyer as your co-founders so there’s no risk of a conflict of interest. This way you can ensure that your best interests are being properly looked after. Kim has also put together a Co-Founder Agreement Checklist of items to discuss, decide and put in writing. This is accessible to newsletter subscribers in our resource section, so subscribe below. If you need any assistance in finding an independent lawyer please check out Kim’s website LawCorner which has a directory of independent legal professionals. Founder of LawCorner, entrepreneur and lawyer. LawCorner is a legal marketplace where Aussies with legal problems can find answers, ask a question (for free) and connect with a local lawyer who can help.